Ottawa Tool Library Debuts New Mascot: Gary the Library Tool | Ottawhat? The Ottawa Tool Library, a nonprofit that allows residents to borrow a variety of equipment, unveiled their new mascot yesterday. 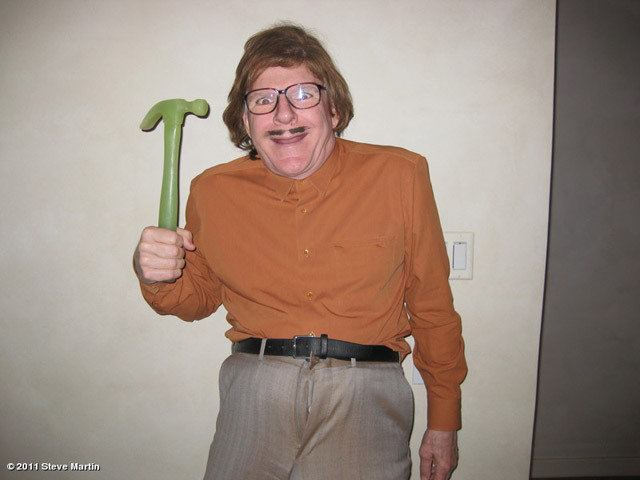 What was once simply two crossed hammers is now an actual person: Terry the Tool. “We are very excited to be working with Terry the Tool,” says Lauren Henley, Executive Director of the Ottawa Tool Library, “He’s energetic, enthusiastic, and will do a great job promoting our organization in the community”. Although Ms. Henley was very open to talking about the Tool Library, she seemed reluctant to elaborate on the origins of Terry the Tool, his qualifications, or how he came to get the position. Terry, however, was much more forthcoming. “Lauren’s my big sis. Mom made her give me this job.” says Terry the Tool, “I never had a job before, so this is cool. Well, I delivered newspapers for a week, but they got mad when I delivered the paper to the same house a hundred times. Now I get to hold a hammer. No power tools, Mom says, so just a hammer for now. You should come to the Oshawa Tooth Library, I’ll get you a hammer”.